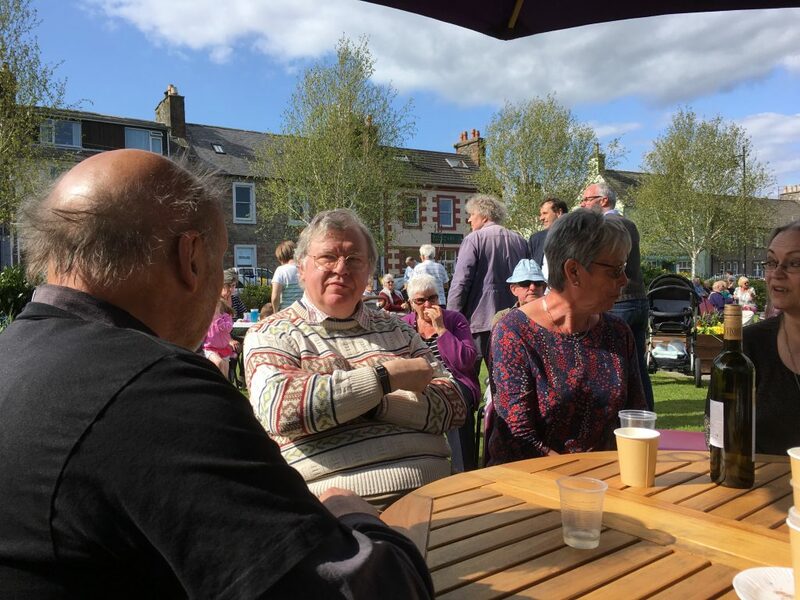 The 16th of May marked twenty years since Wigtown was chosen as Scotland’s National Book Town. 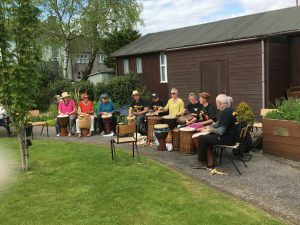 We celebrated with a Garden Party in the town gardens, with over one hundred people, young and old, smiling in the sun-shine, listening to fine music from Nathon Jones and friends and the percussive beats of the African Drummers, with poems from Rosemary Baker, Anne Dunford and Wigtown’s bard Rab Wilson, eating burgers cooked by the Rotary Club, and excellent veggie and vegan treats from ReadingLasses, with multitudinous cakes brought in by friends and well-wishers, washed down with tea and coffee provided by the Festival Company, and the occasional glass of sparkling wine. Renita’s craft activities kept the younger children happy, and old friends met again. Booksellers past and present joined those brave souls who launched the bid for Book Town status, and welcomed the wider Wigtown community. This was a ‘thank you’ to the people of Wigtown, and enjoyed by all. 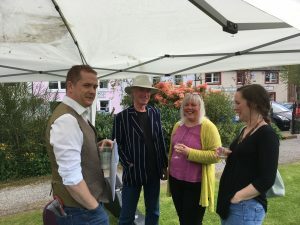 Gracing the garden was a new-comer to Wigtown: the willow woman, created by Trevor Leat, seated reading among the flowers. Come and admire her!